It is patio season! I repeat…it is patio season. Do y’all want to know my favorite patio in the Fort? Bartaco, hands down. For the record, I haven’t decided which is better, though – the patio, their margaritas, or the churros. Located right off the Trinity Trails in Fort Worth, Bartaco has a perfect waterfront location that will transport you straight to the beach. 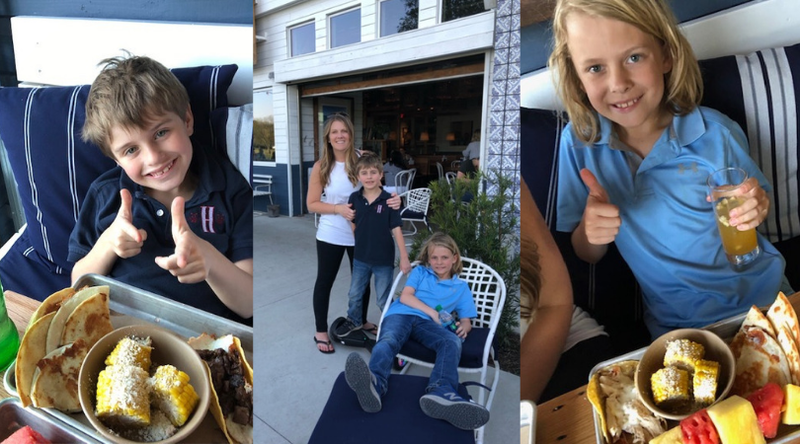 Last week, my boys and I rode our bikes from our house in Mistletoe Heights down the Trinity Trails a mile and arrived straight to the most magical, beachy patio at Bartaco. There could not be a better ambiance to immediately take you from your day straight to feeling like you’ve arrived to a fabulous friend’s beach house. As soon as you walk in the door, you’ll see a white washed interior, woven baskets hanging from the ceiling and you will feel like you’ve just landed in Southern California and hit up the coolest spot on the beach. The decor feels fresh, fun, and unlike anything else in Fort Worth. We started out with an order of guacamole and a margarita (for me) made with fresh squeezed lime juice. Both of which made for a perfect start to our laid back, but delicious dinner. The menu is written so that you can order multiple small tacos which works out great because everything on the menu sounds good and it is way too hard to pick just one. We opted for one of each of the carne asada, tuna tatako, portabello with queso fresco and the fried avocado tacos. For the boys, I am not sure who likes the kids meal options more, Mom or the kiddos, but they both demolished all of their food before I could get to my second margarita. The kid’s tray at Bartaco is one of my favorite kid friendly dinners in town. Each tray comes with a taco of their choice, a cheese quesadilla, mini corn wheels and a fruit skewer. I usually add a side of steamed broccoli for good measure, but this is totally unnecessary as the kids are already getting fruit and veggies, but why not sneak in some greens while you’re at it. 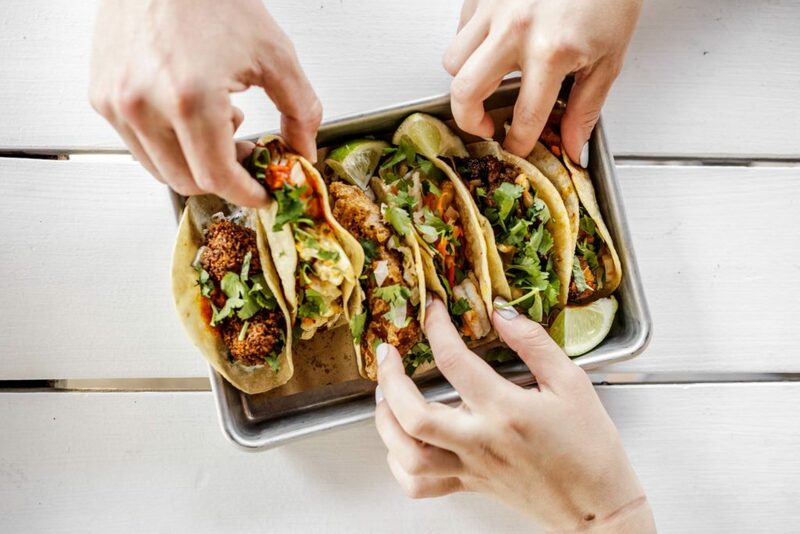 Bartaco opened in Fort Worth last year around the same time as The Colonial, and is about to celebrate their first year in Fort Worth. 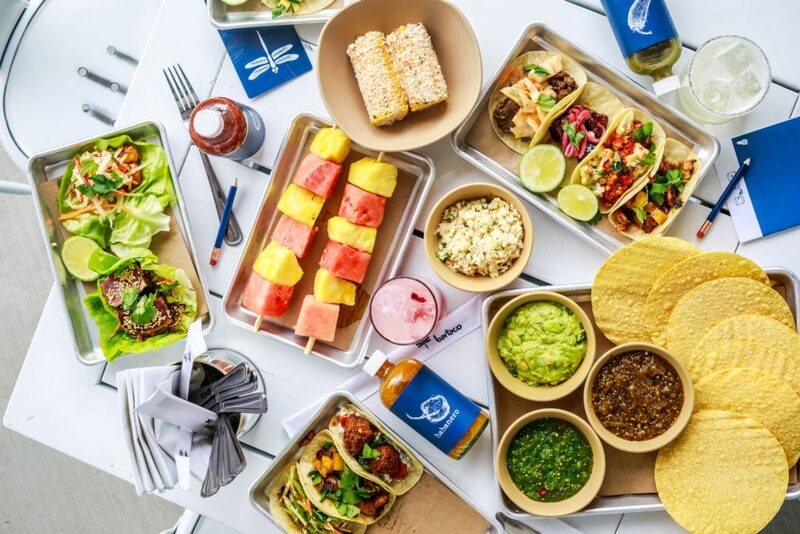 The restaurant is extremely versatile to suit anyone’s needs, whether you are looking for a fun happy hour spot, a cool place to grab a quick drink, a nice lunch or dinner to celebrate, Bartaco will be a perfect fit. They are known for their ambience, great food and their amazing cocktails, which all use fresh squeezed juices and are crafted with attention to every detail. You won’t find a bad drink on the menu and there is something for everyone. 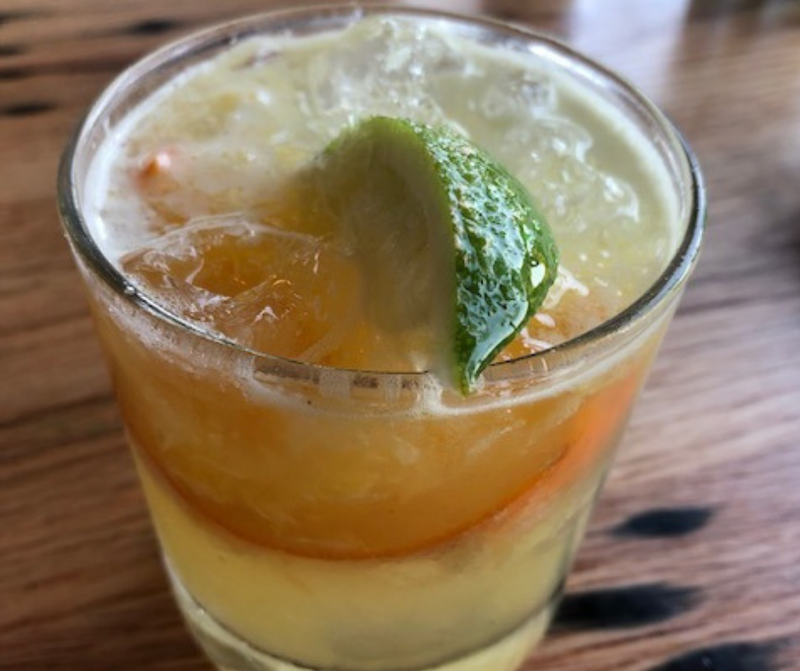 The margaritas made with fresh lime juice and agave syrup are as I previously mentioned incredible, but you may also want to try the Paloma Fresca, Smoke on the Water or the Old Thymer, a fun play on an Old Fashioned made with bourbon, thyme, lemon and orange. Just trust me on this, you can’t go wrong with any of the drinks on their menu. Not your usual Mexican or Tex-Mex fare, the restaurant is more a combination of South American street food, mixed with Southern California cuisine. The tacos are small enough so guests can order more than one and try different things. Don’t forget to ask about the secret taco, which rotates seasonally. Aside from tacos, they also have soup and salad options, rice bowls and the tuna poke is so refreshing and delicious. End your meal with their delicious churros and you will leave feeling like you just had the best meal on the beach, I promise. Bartaco is located at 1701 River Run, Suite 183 and the hours are listed and open daily 11am – late. Go check it out, you won’t be sorry. Angela Weaver is a native Texan, raised in Keller, but she got to Fort Worth as soon as she could. At 17, she joined the Marine Corps and served four years active duty. After her military service ended, she went to work for a hedge fund and then a whiskey distillery, both in Fort Worth. Her most important role started in 2009 when she became a mom. She lives with her husband and two boys in Fort Worth and spends as much time as possible on fun adventures with her kids. She loves to spend her time with her boys outdoors getting the full Boy Mom experience, even if that means being covered in dirt, catching fish, or shooting BB guns. She loves the sense of community she has found in Fort Worth and can’t wait share that with our readers.